Jersey City: It's been two long years since Anirban Lahiri's agonizing miss of a short putt on Sunday helped the United States to yet another Presidents Cup victory. 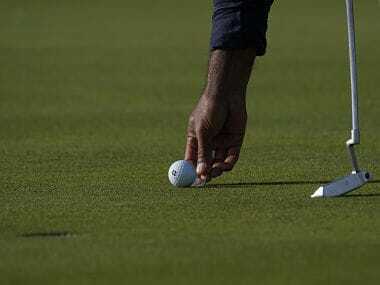 The Indian golfer is hoping to make amends when the underdog International team has another go at the mighty Americans this week at Liberty National Golf Club in the 12th edition of the biennial Match Play contest. Lahiri had a birdie putt from within four feet to halve his singles match against Chris Kirk at Incheon two years ago, but it lipped out to give Kirk a crucial win in the United States' 15.5-14.5 triumph. Price believes that kind of experience only makes a player stronger, and he had no hesitation in making the 68th-ranked Lahiri one of his two captain's picks. "You've got to learn to lose before you really appreciate how to win," Price said. 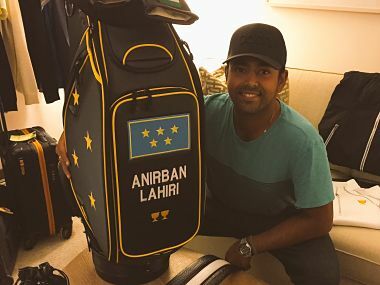 A two-time winner on the European Tour, Lahiri was hampered by injury for much of 2016, but opened this season with a tie for third at the CIMB Classic and posted his best US tour finish to date with a share of second at the Memorial. A top-10 finish at the BMW Championship in September was another sign that Lahiri could be a valuable contributor on a team that isn't intimidated by the depth of talent on a US squad in which all 12 players are ranked in the top 30. "These guys are fired up," Price said of his players. "They are really motivated and as you know, when you have a motivated team and you've got a lot of team spirit in there and good morale, the sky's the limit." Although they've claimed just one victory and one draw in 11 prior editions, Price insisted there was progress in Incheon, where four of the five sessions finished with the US up by just one point. One key to springing a surprise, Lahiri said, would be to get off to a faster start. The Internationals trailed 4-1 after the opening day last time around. "I think we've generally fought back quite well, but the thing is, you don't want to get behind the eight-ball especially when you're playing in their backyard," Lahiri said. He's aiming to be in final-round form from the first tee on Thursday. "I feel like in the last two years, I've grown as a player," Lahiri said. "I've definitely learned a lot, after having moved here, played here. I feel like I'm ready to go back out there and make a positive difference to the team."